Feeding the homeless is not illegal in San Antonio, but safe food handling rules do apply, whether you are giving food away or selling it. At a July 28 summit meeting at Central Library, dozens of groups who feed the homeless heard that word. They also got to tell city leaders how regulations could be changed to help Good Samaritans, rather than get in the way of charitable deeds. Watch video of the summit, and see a discussion that District 8 Councilman Ron Nirenberg said proves “We are a city of compassion, we are a city of charity and hope." We asked for help, and thanks to volunteers like you, kids and parents can easily find free Back-to-School Supplies and Immunizations at more than 30 San Antonio locations. Visit our mobile-friendly map to find the back-to-school event nearest you and then please share it with a kid who needs it. Act soon, the give-away events end August 24. In a July 27 memo, North East Independent School District ordered employees not to speak publicly on their own time or in social media about the proposal to rename Robert E. Lee High School. 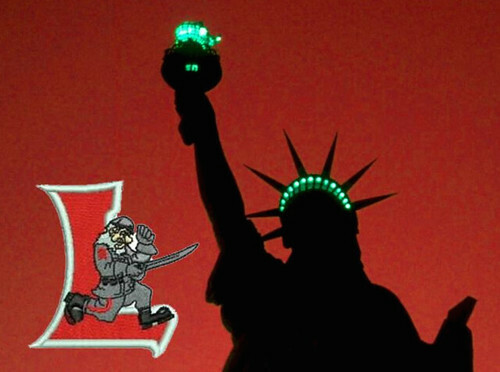 But the American Civil Liberties Union of Texas and the North East AFT, which represents NEISD teachers and staff, say the district crossed the First Amendment line when it issued a blanket gag order on their free speech as private citizens and on their personal social media. “Sometimes democracy is contentious, but that’s no reason to shut down debate on issues of public concern,” the ACLU said. Get the full story here. What is it that NEISD doesn't want teachers and staff to talk about as private citizens? Here is a link to Kayla Wilson's petition to rename Lee and her conversation with District 1 Councilman Roberto Treviño. Last month in the Edge, we told you San Antonio City Council was considering proposals to implement body cameras in three phases, starting with foot patrol, bike patrol and park police. We also reported in the Edge that the council was looking at proposals to raise the minimum city workers’ salary to a Living Wage of $13 per hour or $15 per hour, an idea first proposed in 2014 by COPS Metro. Coming up when City Council meets on August 6, expect to see City Manager Sheryl Sculley recommend a two-year phase in of a $13 per hour minimum wage, up from $11.47. It’s being hailed as “a huge victory” by COPS/Metro. 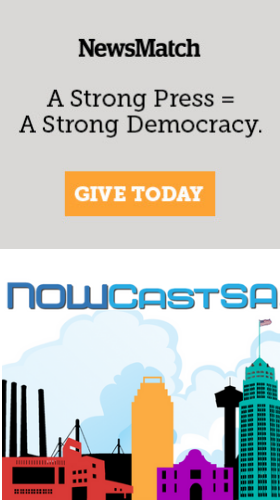 Go here for more NOWCastSA coverage of the COPS/Metro campaign for Living Wage and Economic Justice. And thanks to a push from District 4 Councilman Rey Saldaña, San Antonio will accelerate its adoption of body cameras, with the original first two phases combined in 2016 at a cost of about $3 million.